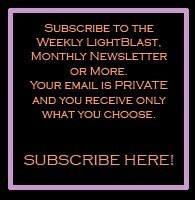 Dear Lightworker, you are at an exciting point in your powerful work, and the work continues. You are tasked to perceive Life through Love, though you will not like all that you see. You are tasked to go into the dark places with your Light, spelunking new depths of exciting treasure. You are tasked to Love when Love is not obvious, well-received or reflected back. Yet you Love anyway. For as a Lightworker, a masterful human ascending, you do not stop Loving because of another, you keep Loving for them, for yourself, for All Life. Life changes through your Love. To Love is a choice. Many feel they do not have choice, they have lost hope. It is easy to look at life around you, not like what you see, and not be able to foresee a future of improvement. The Freedom and Empowerment of choice is not well taught, well known or well practiced. It is your Love, Lightworker, that gives hope. It is your Love that shows Freedom within, Empowerment with Life and hope for a future improved. Your first step is always to choose Love. 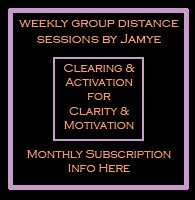 This first step puts the mental and emotional electromagnetic resonance into an easy, flowing current that harmonizes your physical body, harmonizes your ability to think clearly and opens you to the broader perspective of your Higher Self. 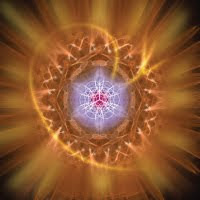 Your Higher Self, your soul, your Source Beingness is within your vibration, thus your peaceful electromagnetic flow merely synchronizes your informational relay. The peace that passes all understanding aligns the synchronicities that seem miraculous and next steps are easier to perceive. Your action was finding Love within. You then follow the clues of your Higher Self for next steps, inspired by Love. For those that do not know the subtle connection of Life and the power of Love, it can seem as if choice offers right or wrong. For those that know the Love of Life, choice is always right. As you choose steps in Life, you are directing your energy flow. Life harmonizes with you. At times it will seem as if you lead or Life leads, that is why your first step is to Love, so that your information flow remains open to the clues of your Higher Self. You recognize the movement by your emotional flow. Choose Love, find peace within and watch the clues that Life presents. Forced with a choice that seems less than desirable? What will your lack of Love do? Your process will lack the peace, the synchronicity and the new solution that is possible. Yet it will continue. Step one: choose Love. Step two: observe the synchronicities that your Higher Self presents and choose a direction. Every direction chosen with Love results in more harmony, more synchronicity, more miraculous alignment. Do not stop your focus on what is merely in front of you. Look beyond the moment with the knowledge of what Love can do. As we sit to Blast Choosing Steps, we are allowing and directing Life with an adept curiosity that opens our flow to benevolent change. We are embracing the inner power of Love and allowing our divine nature to saturate the physical world. We are maintaining hope in a situation that seems to counter Love, for we know that as we choose Love within, time has greater flow to heal a wound. We are standing strong in our Love in the face of adversity, for humanity is learning by example. We are remembering our strength, foreseeing our growth and enjoying the anticipation of the blooming. We are the sovereign within, forging Love’s grace through our courageous choices. We are the outsiders, looking within, Loving so fiercely that pain wields to our strength. We are the path of Light that Loves another home. Blast on!